Press Elementary Counselor Susan Washa talks with a student in her office. McKinney, Texas – The role of school counselor is never an easy one. But, some days can be a bit more challenging than others. 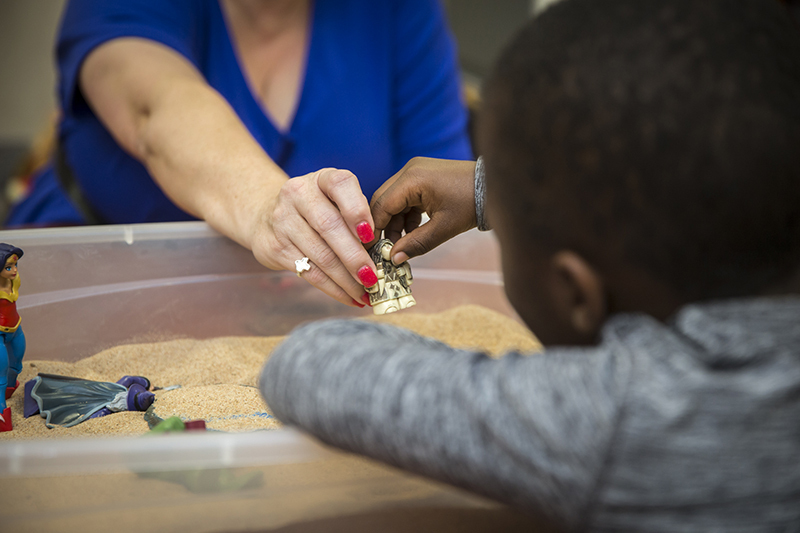 Press Elementary Counselor Susan Washa uses sand trays as a communication tool for students. “It’s a way for them to play out what’s going on in their world without having to talk it out. They can show it with the sand tray,” said Washa.